Find here the best Time Pieces coupons and deals. 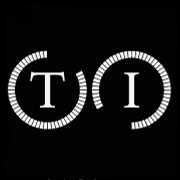 Timepieces International was formed in 1996 and has become one of Europe’s leading watch manufacturers, allowing Daniel Steiger, Zeitner and Klaus Kobec to present their products to a wider audience. Using the finest materials finished to the highest standards, Timepieces international has developed a vast range of watches and accessories that provide a purposeful, visual statement. These beautiful products are available at astonishingly low prices, often costing less than a quarter of the recommended price. At Timepieces International, we are experts at providing luxury for less. We are the official manufacturer for Daniel Steiger and designs from this celebrated jewelry brand feature in our jewelry collections at our jewelry store online. Our jewelry offers exceptional craftsmanship, design and originality – all at competitive prices our customers will love. Our vast collection of high-quality jewelry for men and women includes bracelets, rings, pendants, earrings, and a host of accessories, reflecting a wide array of styles, designs, aspirations and trends.